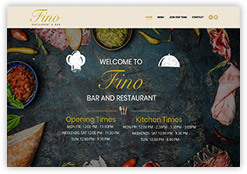 Our food related section of our portfolio has some good examples of our latest WordPress, mobile responsive websites. 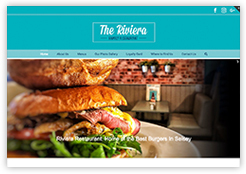 Restaurants especially lend themselves to being on social media and being found on a phone especially if you are out and about and want to search for a local place, to book a table, order a takeaway or just check opening times or the menu. Fully licensed family run restaurant and carvery based in the seaside village of Selsey, perfect for families with children. 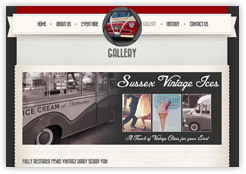 Vintage Ice Cream vans and Trikes for weddings and special occasions. Based in West Sussex, leaders in Ice cream van hire. Family run restaurant near the Beach in East Wittering, offering delicious roasts, fish and chips and full English breakfast. 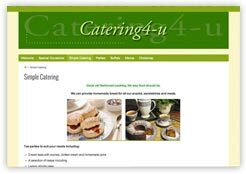 Catering service for small parties, cream teas, buffets and intimate dinner parties. Delicious Home-cooked food. 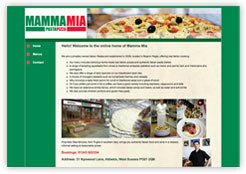 Italian Restaurant offering delicious home-made real Italian pizzas and authentic Italian pasta dishes. Bar and Restaurant serving fine Italian food. Originally designed by Cottagewebs but maintained in-house.